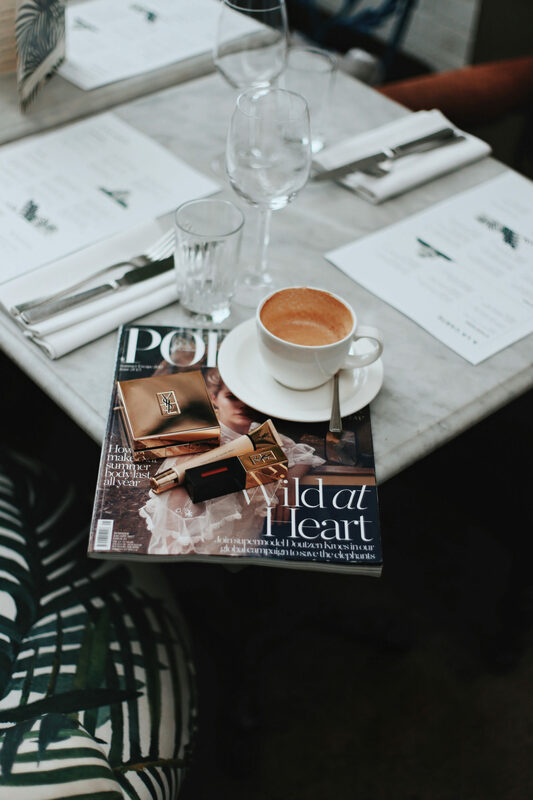 I have scoured the streets of the city to bring you the best London coffee spots you’ll want to Instagram right now. Don’t get me wrong – a perfectly crafted cappuccino is a must, but equally as important, at least to me, is the aesthetic. It’s downright essential if you spend a lot of time in a place, right? 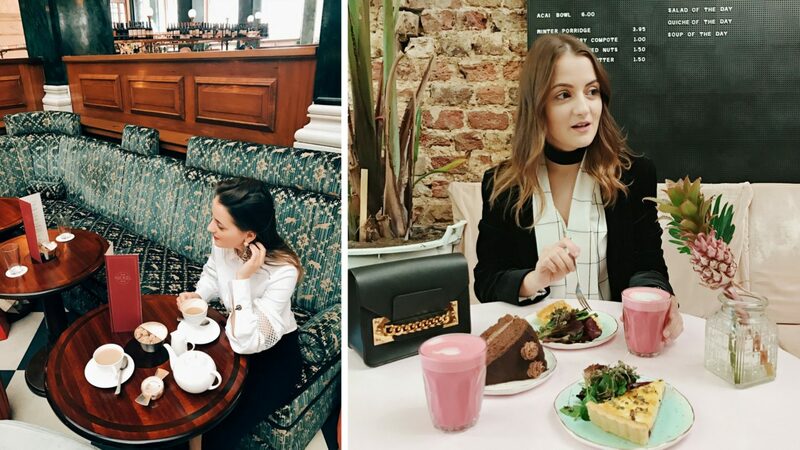 I’ve made my way through a majority of London’s coffee spots, so I’m sharing my favourite 7 that not only offer an amazing selection of coffees, food, and pastries but are also beautifully decorated. That’s an Instagram win-win. Grind has been around for 7 years, and as a result, they’re serving some of the best coffees in London. I’m swooning over Grind Clerkenwell. I mean, just look at the decor and these Instagram-worthy pink sofas. The marble tables are perfect for flat-lay shots, too. Grind’s Instagram page is every bit as stylish as their branches – they’re definitely worth a follow. 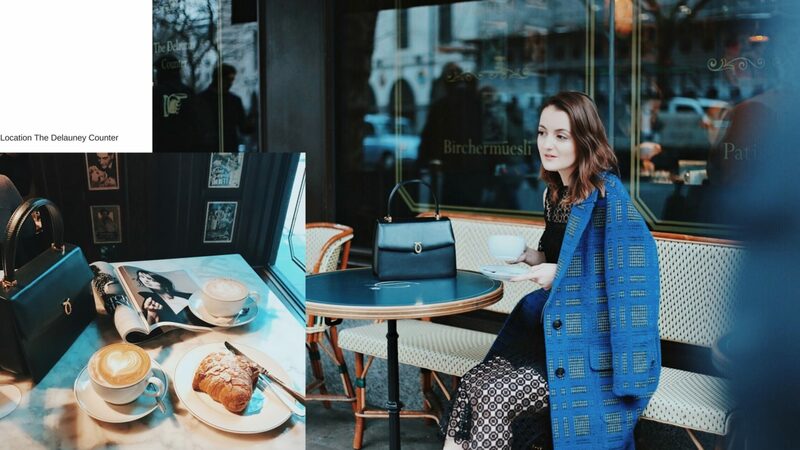 The gorgeous Delauney Counter is a traditional Viennese café, serving a selection of coffee, teas, pastries, and sandwiches to eat in or take away. The relaxed and cozy atmosphere is reminiscent of typical Mittel-European cafés, serving simple but exceptional food, freshly prepared every day by The Delaunay chefs. It’s really more of a restaurant, but I couldn’t let Bourne and Hollingsworth slip past. Food bloggers, take note: Bourne and Hollingsworth in Clerkenwell has a full kitchen and serves some seriously Instagram-worthy dishes, using locally sourced, fresh and seasonal ingredients. But the real reason to come here is for the décor. Whitewashed walls, with mismatching furniture, floral printed sofas, and chairs, large open fire at the front of the restaurant. The dream! Set in the heart of the historic and vibrant Bloomsbury, Dalloway Terrace is one of London’s secret gems. I like to come here for my meetings – it keeps me inspired. 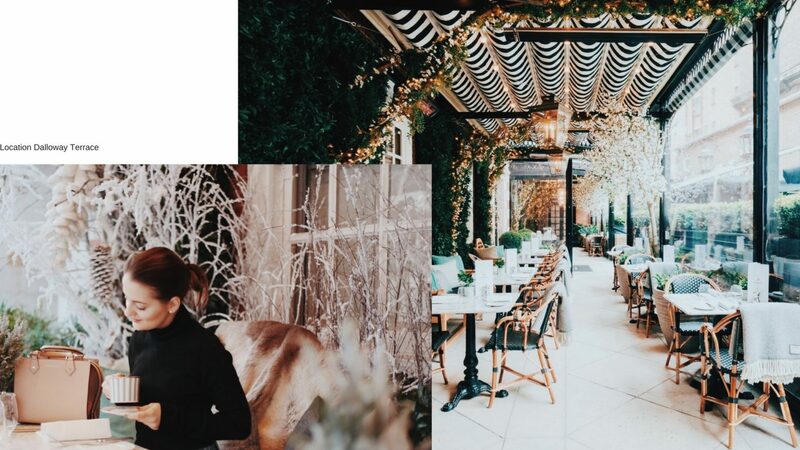 What I love most about Dalloway Terrace is that they change their décor seasonally. During the cold months, it offers the peace and charm of a secluded secret garden – complete with heaters, cozy blankets, and furs. Pachamama is not only a great spot for coffee, but also for food. Make sure you have enough storage on your phone, as you’ll want to Instagram a lot. Tip Don’t leave without having tried their Peruvian chocolate with toasted quinoa, it’s the best I had! The Ned’s Instagram page speaks for itself. Set in the former Midland Bank building in the City of London, just a few steps away from Bank Station, The Ned is my new favourite spot for coffee. And last, but not least is Palm Vaults – which you would have seen a lot on Instagram. 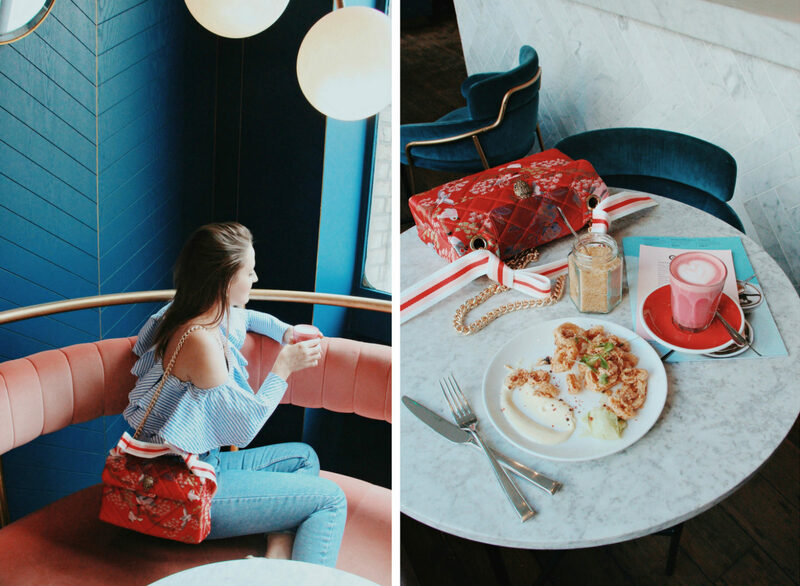 Influencers from all over the world frequent this chic independent coffee shop. 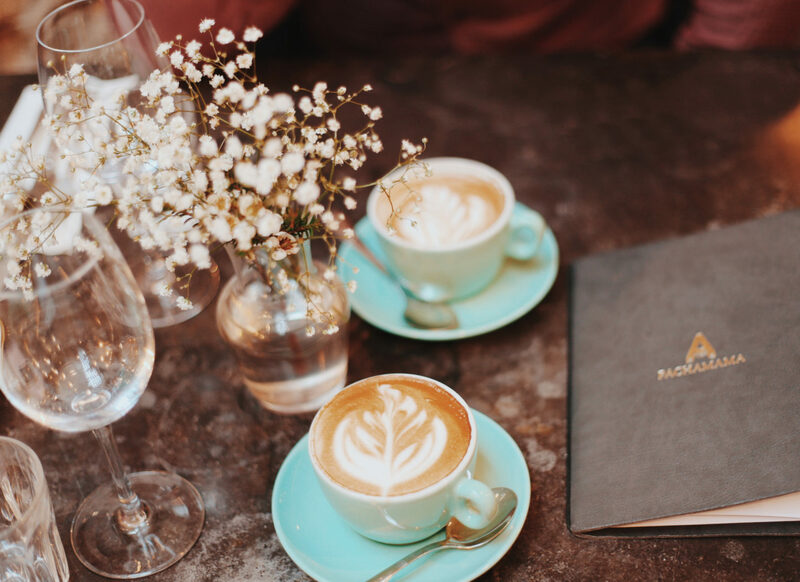 Located in East London, Palm Vaults is known for their custom latte art, blush velvet seats, marble-topped tables and of course, a giant palm tree that greets you at the front door. I hope this guide will inspire you to visit new and exciting places to enjoy a good coffee.